I did an experiment this week: using honey and cinnamon to change my hair color. I have read a lot about women doing this and having success with it. So, I wanted to try it out. I haven't colored my hair in about two years, but oh how I LOVE hair color. Before that, I was getting highlights annually. I would get them right before the summer time, but only did it annually because I knew it was bad for my hair and I loved the way my hair looked as they grew out. 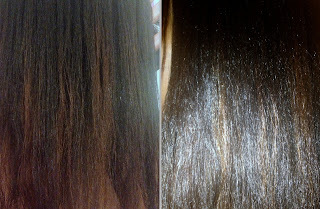 However, after my stylist put highlights in it the last time, she [low-key] didn't want to do it anymore! Lol it's actually funny because she would do stuff like buy rinses for my hair instead of restocking the hair color I wanted since she didn't want to do it. Finally, she admitted she thought my hair was doing so well that she didn't want to ruin it by coloring it again. I couldn't argue against that of course. Anywhooo... back to the subject at hand. After reseaching why these two household items are chosen to lighten you hair color, I found out that honey contains trace amounts of hydrogen perioxide. *gasp* I seriously didn't know that ya'll! Cinnamon acts as a peroxide activator, as does lemon juice, which I also used. So there you have color change in your kitchen! Not to mention all the benefits honey is known to have for hair. Now, as I said trace amounts, that means slight results. You are not about to have serious results from this, especially if your hair is dark. My hair is black, but my hope was in boosting my color treated ends. They were beginning to look dull to me and I just refuse to do damage to my hair with color when I haven't even reached a goal with it yet! It worked! I need to take some more before/after pics because I feel like these have a weird glare or something on them. But my hair color definitely got brighter. I thought it was quite cool to see it work the way people claimed. If I were to try this again, I would use raw honey, not warm it, and a lemon instead of lemon juice from concentrate. sometimes, you should just follow the directions. That's what they're there for anyway. Peroxide in my honey? Ah! Did not know this. 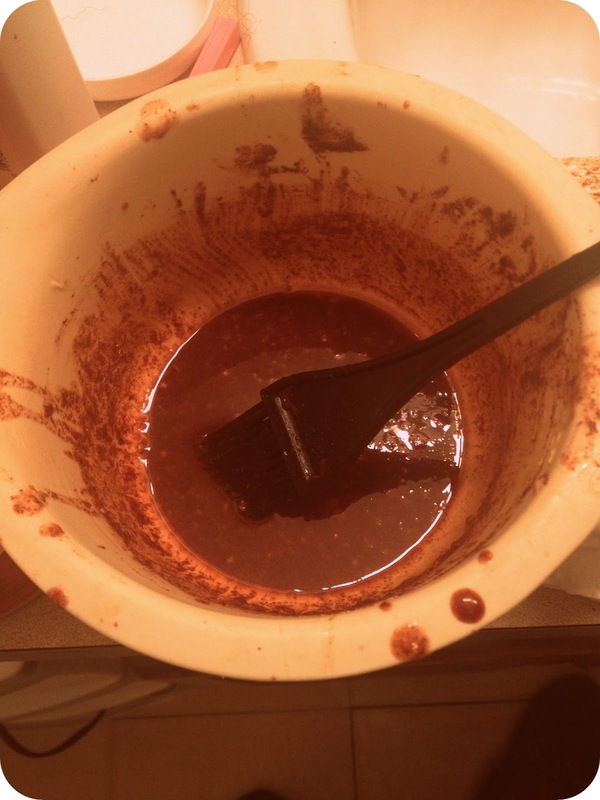 That's so cool that honey, cinnamon, and lemon juice can add color to your hair. I would like to venture into a safer version of hair coloring eventually but don't know what will work best since my hair is completely black too. I wondered if maybe henna would do anything for me. Have you looked into that? Yes, I have actually. I just bought a package last week! I am still trying to decide the best method for me to use, but I will be using it in the next few weeks. It seemed to have last throughout the summer. 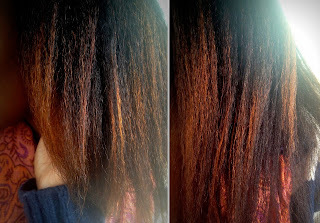 People noticed my color-treated ends much more after doing this than they did before. However, you are supposed to do this regularly over at least several months in order to achieve more permanent results. did this just colour treated hair? it looks like more, in the pics! My hair was already color treated before I did this. The treatment just lightened up my hair. I hope that answers your question. Thanks for stopping by! My hair is relaxed do you think it will work? I read that lemon dries out your hair? My hair color is black and I was wondering would this work? Do you know if I can do this the same day I relaxed my hair? Yes, I am relaxed so it will work on relaxed hair. My hair is black with highlights that have grown out a lot. The color change was much more noticeable on my color treated hair vs my naturally black hair. I did notice some slight changes though. I would say you would have to do this repeatedly over a span of time to really see some changes in your black hair. I wouldn't recommend doing this on the same day as your relaxer. The cinnamon can be irritating to your scalp so you don't want to experiment with that along with putting a relaxer in. As far as the lemon being drying - it can be if not used correctly. With this, it is a small amount and the honey will combat the drying effects. Also you should follow this up with moisturizing deep condition even if you don't shampoo your hair. Great questions by the way! Thanks! I know that honey is great for your skin, too. Thanks for stopping by! I planning on trying this out in a few days. I have really tight curls and I'm hoping that lightening my hair will show off my curls more. Now it just looks like a big frizball unless you get close to see how curly my hair actually is. Hopefully by june my hair will be noticibly lighter. How often do you you suggest doing this treatment so that I can get results by then? 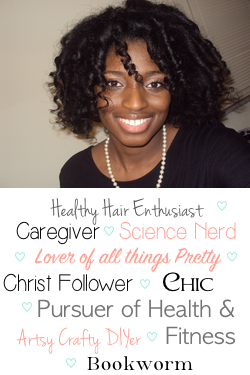 Also, do you have any suggestions to fight off frizz? i never colored my hair before but wanted to try something new but did not want to damage my hair.